Fun news for the parents and younger readers here! There are two all-new Monster High movies out! They can be found in the newly released Monster High Double Feature DVD. The new DVD contains Friday Night Frights and Why Do Ghouls Fall in Love. Check out the details below! In spite of what the trailer says, this DVD is actually out now. 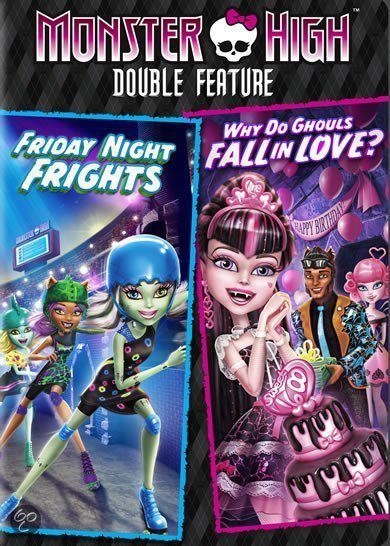 What do the Monster High fans think about the new double feature? Have you already got your hands on the DVD? If so, did you love the two tales? Let us know. Oh, and if you loved the movies, head over to the official Monster High website for more goodies. There are a couple games based on the DVD and much more. The site is packed full of fun activities for the little vampire fans.